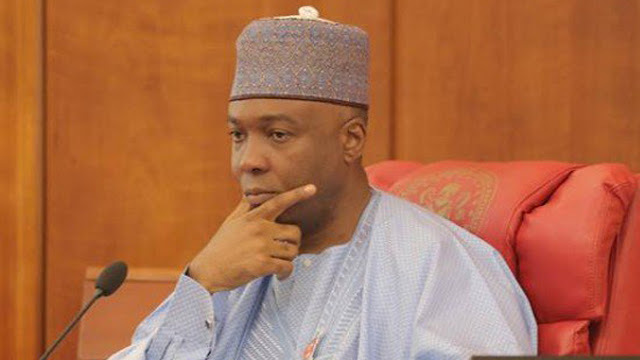 Nigeria's President of the Senate, Bukola Saraki, has reportedly sacked 98 of his aides. Punch reports that most of the affected aides are staff of the National Assembly Management who were deployed in the Office of the President of the Senate. His Special Assistant on Media and Publicity, Mr. Yusuph Olaniyonu; and his Chief Press Secretary, Mr. Sanni Onogu, however, denied knowledge of the sackings. Saraki had earlier in the year ordered a staff audit exercise, while indications had emerged that 100 of his aides would be affected. Looks like someone might be taking a rain check. Wasn't it just yesterday it was reported that he returned the pensions paid him to Kwara State government? Good if you ask me. But what was Saraki doing with 98 aides in the first place?